The Commonwealth Games kick off in Glasgow in July 2014 and the deadline for the first batch of ticket applications is the 16th of September. Like many people I've put in a clutch of applications for me and my family and am waiting to see how many I've got before deciding whether to apply for some of the other sports on offer. It is an eccentric collection of sports that are in the Commonwealth Games, I guess the clue for that being the fact that these were originally the British Empire Games, but with countries participating including Jamaica, Australia, Canada, Kenya and Vanuatu there will be a host of top athletes on show. Whatever tickets I get there will still be the marathon and the road cycling to be watched on the streets of Glasgow. The recent National Road Race Championships through the city streets showed what an entertaining spectacle these will be. 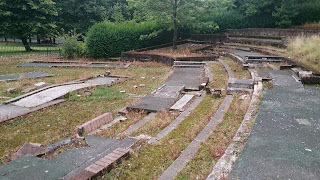 Work is ongoing to get all the venues ready. 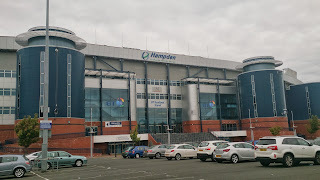 As I'm running the Great Scottish Run half marathon in Glasgow in 4 weeks time the distances for my training runs of a Sunday morning are having to increase, and as I get easily bored, I devised a couple of wee 13 mile/ 20km routes around the Commonwealth Games venues to see what progress is being made on them. So if you want to run, cycle or walk around these places let me tell you what route I chose and what I saw. 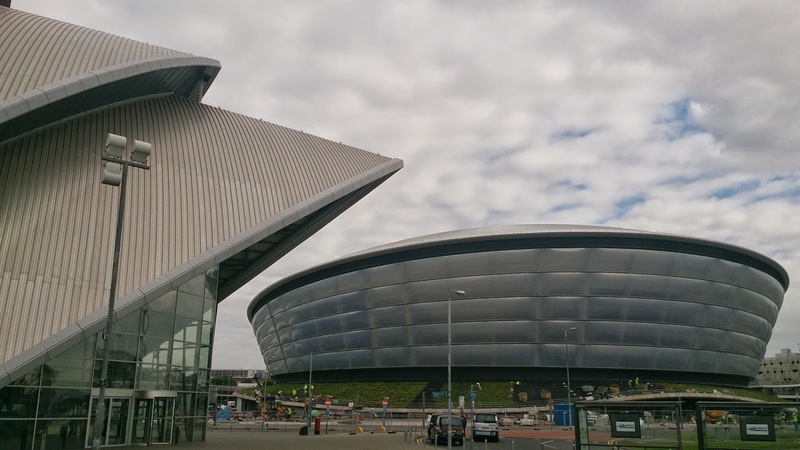 Yesterday I ran around some of the Commonwealth Games venues in Glasgow, and today I had a quick scout around the other Glasgow venues as I want to do another 13 mile training run next weekend as I get ready for the Great Scottish Run. 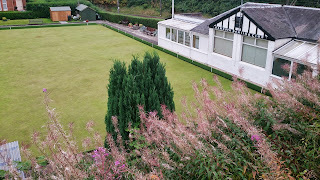 I had decided to leave off the diving venue (Royal Commonwealth Pool, Edinburgh), the Mountain Bike Course on Cathkin Braes (although that appealed as it was where Benny Lynch went on his training runs) and also the Barry Buddon Shooting venue in Carnoustie. So I started at the SECC where the Hydro, SECC and Armadillo will be hosting the Boxing, Netball, Judo, Wrestling, Weightlifting and Gymnastics during the Commonwealth Games. I then headed west along the Cydeside. 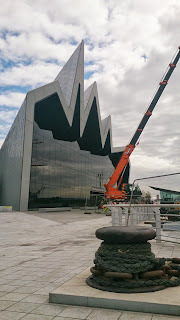 Passing the new Transport Museum you only get a hint of the industry that used to fill the banks of the River Clyde with the cranes of Govan shipyards downstream from here. Heading down by the river along South Street, you'll soon pass the site of Partick Thistle Football Club's Meadowside ground from 1897-1908, on the opposite bank from Govan shipyards, now blocks of modern flats. Other shadows of the shipbuilding days are soon seen in the "Harland Cottages" on South Street, bearing the name of the Harland& Wolff yard that used to run seven building berths in their yard in Govan. Turning right into Harland Street at about the 5km mark and going straight up through the side streets you'll soon come to what I knew as Scotstoun Showgrounds when I was younger. 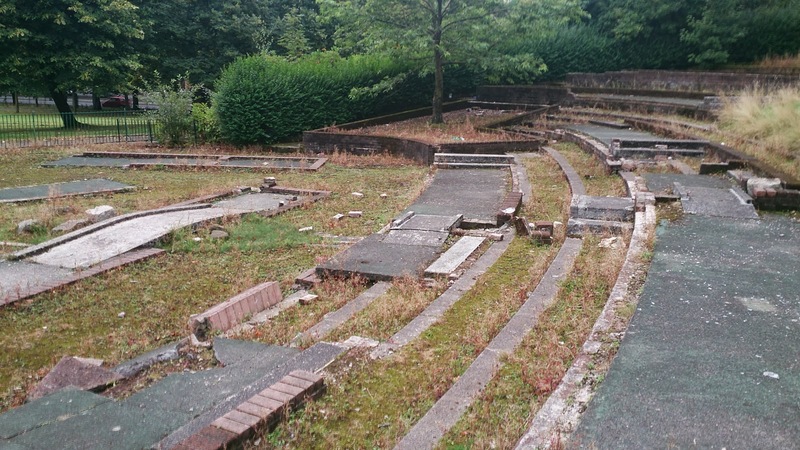 Although initially used for agricultural shows, by 1915 it already had an athletics track and grandstand here. Since those days it has had a modern running track laid and Scotstoun Stadium is used now by Glasgow Warriors Rugby team. 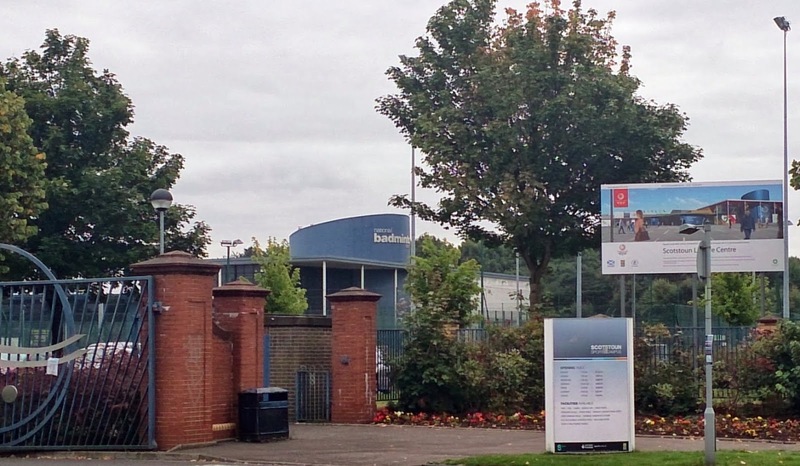 Alongside that there are 5-aside football pitches, a swimming pool, a gym, squash and badminton courts. However Scotstoun is neither hosting the Badminton nor the Rugby 7s. The Squash will be played here during the Commonwealth Games, but not without some controversy. As well as using the 6 permanent squash courts, a temporary glass walled show court will be built for the games but afterwards will be dismantled and will not be available for Glasgow to host prestige squash tournaments in the future. The Table Tennis is also going to be on here, presumably being held in the area where the Badminton courts are. 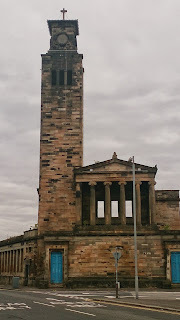 So from here it was time to head through neighbouring Victoria Park and get south of the river Clyde. As a teenager I was often in Victoria Park but the rowing boats and Crazy Golf that I used to play on are long gone. The fantastic Fossil Grove is still here and I think that it is mental that we don't, as a city make more noise about the fact that you can come and see 325 million year old fossilised tree stumps in the place that they once grew. Once you've gone through the underpass at the expressway you can get into the Clyde Tunnel cyclepath from Dumbarton Road. 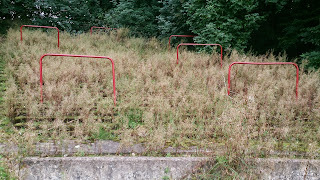 Where the entrance of the Clyde Tunnel now sits was once home to Partick Thistle Football Club from 1885-1897, Inchview. 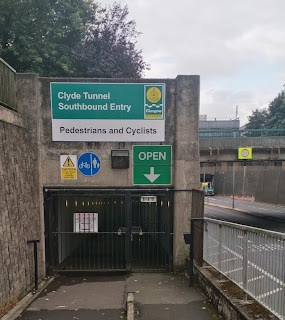 If you are running or walking it doesn't matter which of the two pedestrian tunnels you go down, but if cycling you need to go with the flow of traffic. The cycle tunnel is about 1km long and isn't as scary as it used to be, with the controlled entry at each end, a fresh lick of paint inside recently added to brighten it up and it no longer even smells like a urinal. Coming out in Govan you can head towards the shipyards and then veer south through Elder Park if you want to see one of only three women immortalised in statue in Glasgow. 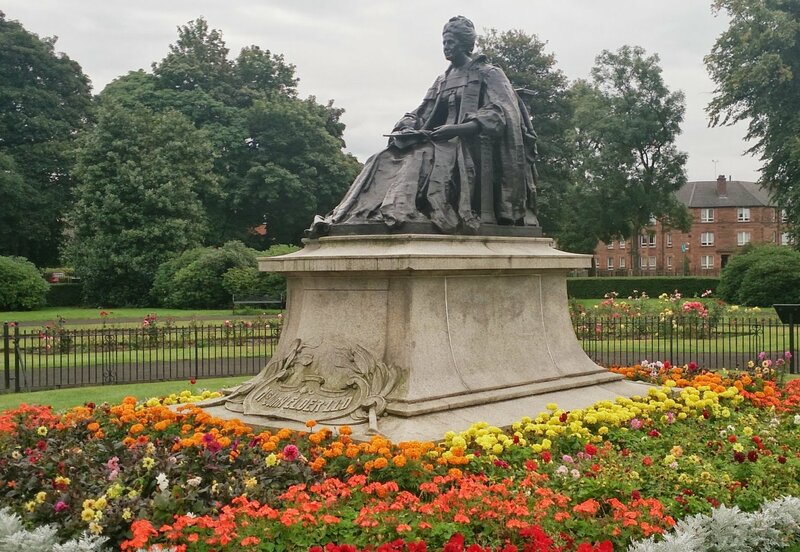 Here can be found Mrs Isabella Elder, who created the park to remember her shipbuilding husband. She was of a philanthropic bent and particularly supportive of the education of women. She bought North Park House on Queen Margaret Drive (which later became home of the BBC) and presented it to Queen Margaret's College to use for female medical education. 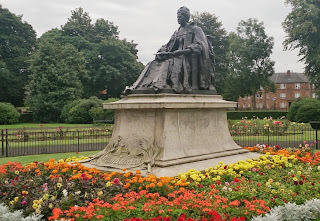 Her statue is of its time and, despite her efforts, women knew their place in those days so the plaque at the base of the statue records her name as "Mrs John Elder". The other two statues of women in the city are Queen Victoria astride her horse in George Square and Dolores Ibarruri, 'La Passionara', with fists clenched in the air down by the Clydeside. If you've found your way through the streets and industrial units around here you'll emerge at what I suspect will be one of the easiest venues to get tickets for during the Commonwealth Games, Ibrox Stadium, which will host a weekend of Rugby Sevens. With a capacity of 50,000 you would expect there will be tickets available for this although the world's major rugby nations will all be here for the tournament. It is a wee bit tricky to find your way through the side streets of Pollokshields to get from Ibrox to the last Commonwealth Games venue today, Hampden Stadium. If you cross Paisley Road West, there is a path that goes over the M8 then under the M77. You should then come out onto leafy Nithsdale Road and head left for a couple of kilometres, crossing Pollokshaws Road and heading up to "Scotland's National Stadium" as it now seems to be branded. I was always under the impression that it was primarily "home to Queens Park Football Club". No matter how you've got here you will undoubtedly have passed a couple of Bowling Clubs on the way, surely confirming that we must be in with a chance of a few medals here. 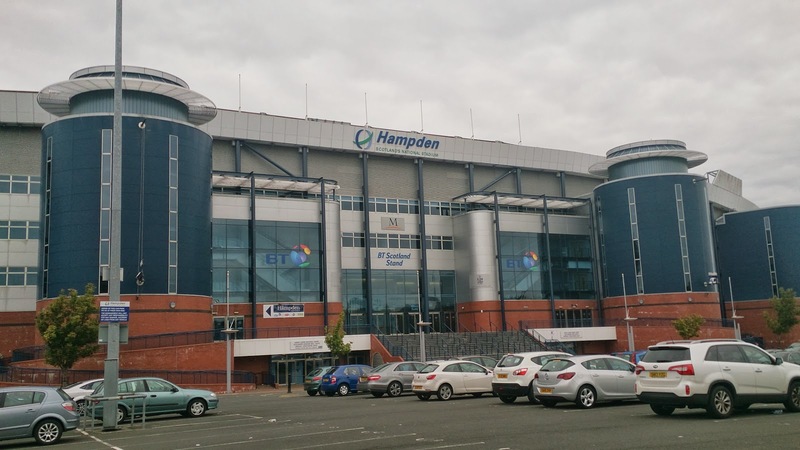 Football will be banned for most of a year in Hampden as it prepares to host 8 days of Track and Field events and the Commonwealth Games closing ceremony. For this to happen there is still a track to be laid in Hampden, which will involve raising the area at the edge of the pitch and slightly reducing the capacity by taking out the front rows. With Usain Bolt declaring that a Commonwealth Games title is still one which he wants to get, to complete his collection, it could be that all eyes will be on Hampden during these days. I find it impossible to go for a run out this way without sticking my head in to see the sad sight that is Cathkin Park, once home of Third Lanark Football Club before their demise in 1967. Today the weed covered terracing waved in the wind like a ghostly crowd, oblivious to the man from the council in his wee lawnmower doing handbrake turns on the pitch whilst cutting the grass. 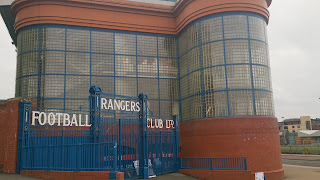 From here it is a wee run down Aitkenhead Road then turn right and down Cathcart Road. 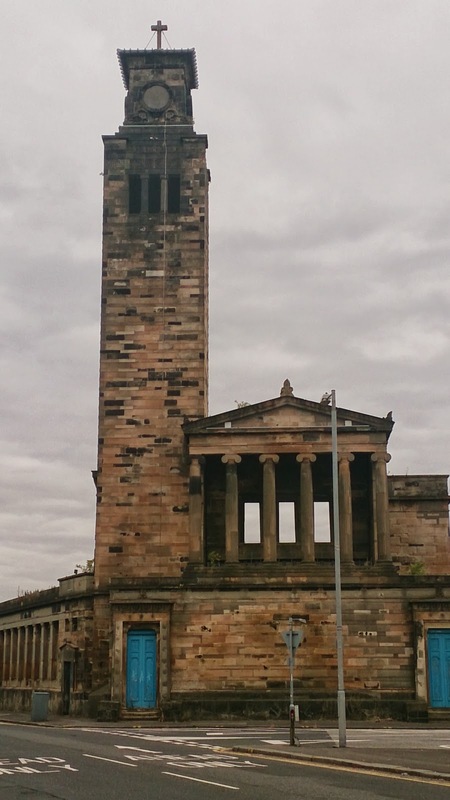 You will pass the shell of the Alexander "Greek" Thomson designed Caledonia Road Church which stands empty and purposeless in a traffic island here, a remnant of the once mighty Gorbals. 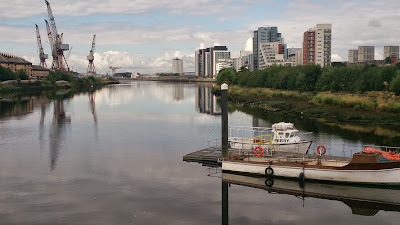 From here, cross over the Clyde and head back along the north bank of the river to get back to the start at the SECC. 22km or 13.5 miles, another wee route to vary my training for the Great Scottish Run in October.